The Rotary Club of Edmonton Whyte Ave invites you to a special screening of the short film that is a compelling story of how Australian Stephanie Woollard met a group of seven disabled women while she was travelling through Nepal, who were struggling to survive by making and selling handicrafts from a tin shed in Kathmandu. 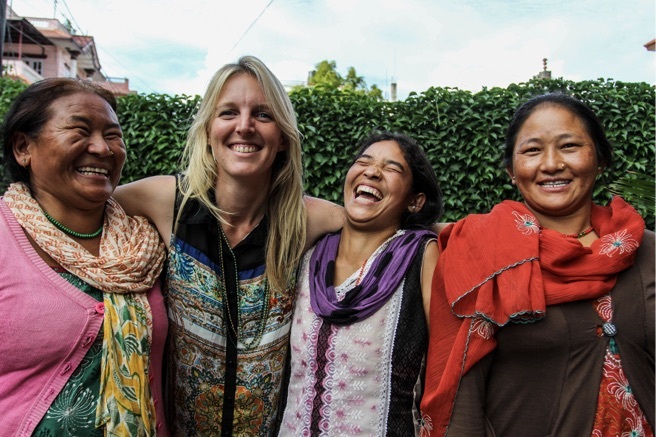 Stephanie (second from the left) decided to stay in Kathmandu for three extra weeks and out of her own pocket, funded training for these women in skills to grow their chances to create an income for themselves. This documentary brings light to the astounding results of fours years of work that this United Nations award winner and author has brought to over 5,000 women.